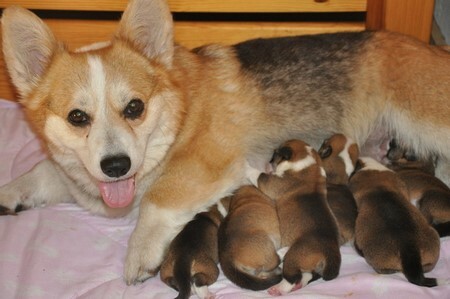 On 19 of May our lovely QQ-lka became mother. 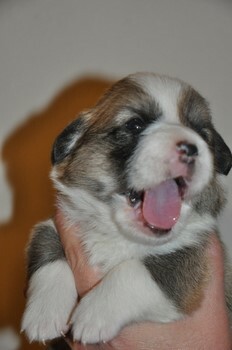 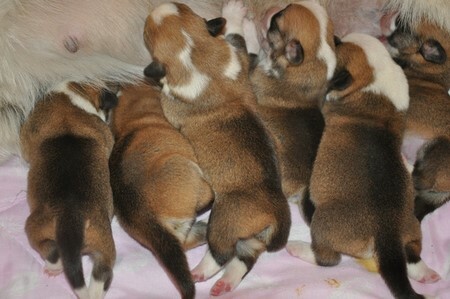 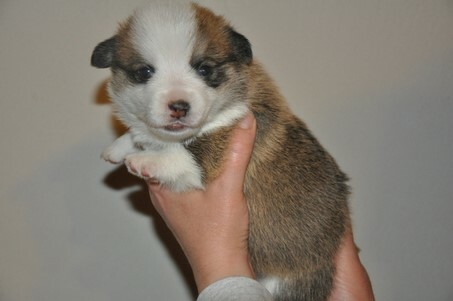 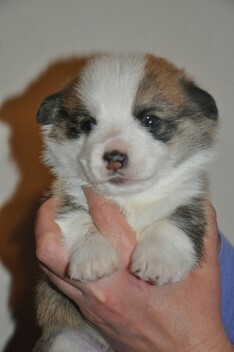 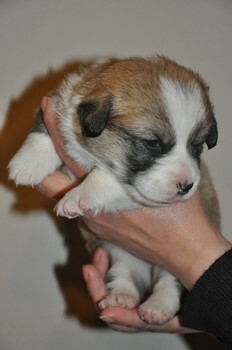 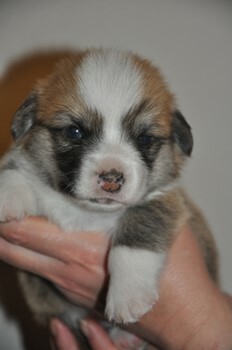 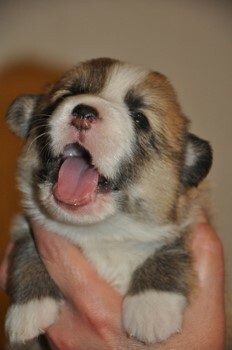 We have 6 beautiful, very promissing puppies-3 red-white boys and 3 red-white girls. 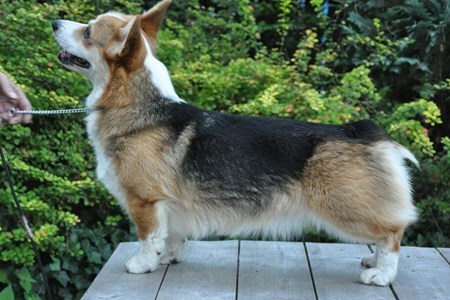 One girl is natural bobtail, rest pups have long tails. 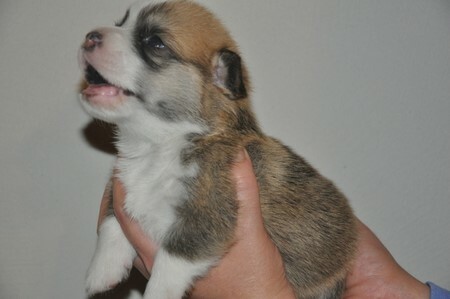 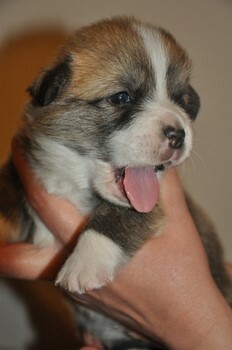 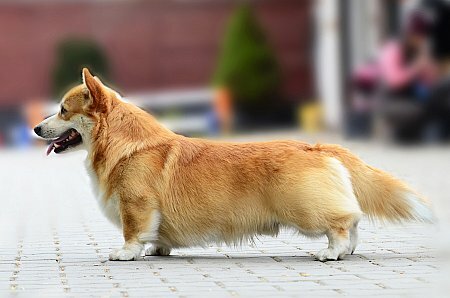 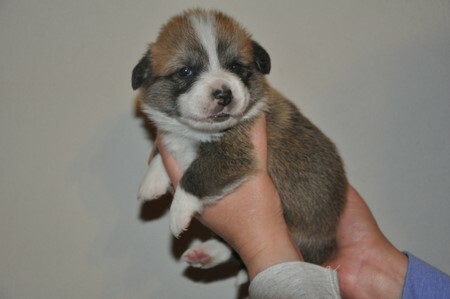 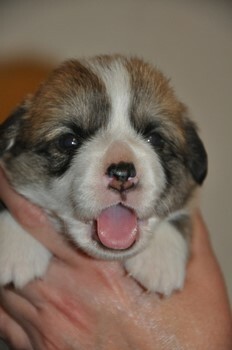 First time proud father is Goofi (Academia Canis PREMIER). 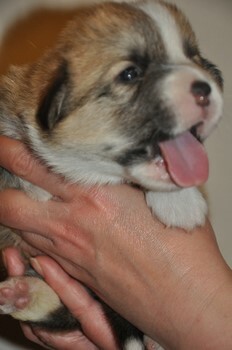 Most of puppies found new, lovely homes. 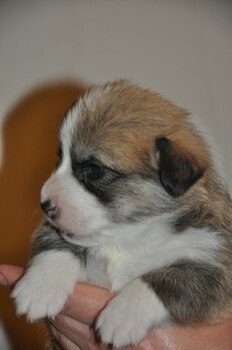 Only one beautifull red-white boy is still waiting for new family.